SBS’s outsourcing services is a combination of profound industry knowledge with Operational Services par excellence and our winning strategy taking our clients center-stage. We are a game changer for our clients by delivery their entire Back Office processes, Customer Care, Technology Solutions and Analytical services. Our out of the box strategies to our clients goes a long way in helping weather economic uncertainty, which also works as an extension of our clients enterprise to unlock their potential. Our Media, Entertainment & Telecom business partners have reaped laurels with our co-developing acquaintance. What SUN Business Solutions delivers? Build agile collaborative supply lines to minimise costs. SBS is committed in the drive to ensure that all business partners of SBS have high regard for customer satisfaction and yet not falter on the required safety, quality and performance standards. The SBS team engineers innovation to produce customized Software solutions for its customers. Our statistical and analytics team uses the data gathered to provide the company with a marketing strategy, a resource base, an ideal work force and a production line that transforms a raw material into a finished product of unparalleled quality and performance. The SUN BS team is a leader of innovation and is beginning to produce numerous software suites for different customers that help achieve different needs for various consumers and suppliers. 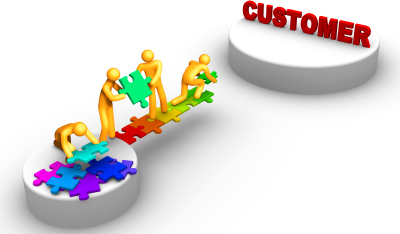 It helps establish better profit margins and higher rates of customer satisfaction. We are committed in our drive to ensure that all business partners of SUN BS have high regard for customer satisfaction and yet not falter on the required safety, quality and performance standards. A statistical and analytics team uses the data gathered to provide the company with a market, a resource base, an ideal work force and a production line that transforms a raw material into a finished product of unparalleled quality and performance. 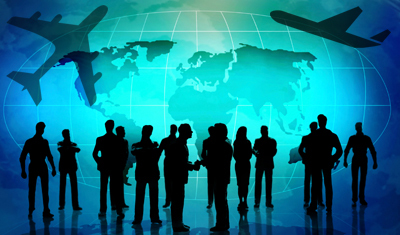 We are a leading provider of Business Process Outsourcing (BPO) services for Aviation business growth. We provide a comprehensive range of services across Customer Care & Revenue Sales, Reservation Operations, besides sharing Revenue Management services, Revenue Accounting, Data Management and HR services. Our increased focus lies on driving transformation, technology enablement and overall process efficiency through our Value Improvement Plan (VIP). We are happy to be associated with SpiceJet, helping their growth domestically and internationally. Our private data centres help us host a vast database of clients which helps to create a consolidated record of a passenger’s travel and activity. Thus enabling the airlines to establish healthy relationships with the customers and assists in the discovery of untapped ancillary business opportunities. SBS also covers all forms of sales and marketing, enabling a maximum coverage. Industry standard distribution channels for travel agencies. Direct access to primary distributors and tatkal service partners. Dynamic and bundled ancillary-service packaging. SUN BS helps in the maintenance of websites a duty as tantamount as creating the website itself. The IT team at SUN BS hosts the websites of our business partners. Our indigenously designed software suite generates multiple recovery possibilities, including rapid access to projected costs, impact on aircraft, crew and passengers. SBS software equips our client with the control and information to manage financial and revenue-reporting activity for companies using a unique reservation system that involves a ticketless reservation environment. A Sales Audit suite designed and engineered by us performs comprehensive ticket distribution validation audits, thereby sorting out our clients’ airline tariff compliance efforts. SUN BS is a giant in the IT/ITES sector committed to providing the aviation companies with their software to help them combat competition and maintain their competitive edge. Our strength lies in our R & D team, who work tirelessly to create, conjure and program in order to produce effective software suites that help airlines maintain their enormous quantities of vital data.